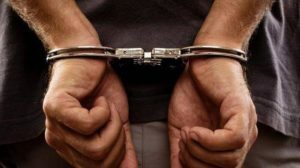 Police Report: A 35-year-old man was arrested by the Delhi police on Monday after he run over 3 men and killed them near Shastri Park on Sunday Night, it is believed that the man was drunk while he was driving his vehicle. The man has been identified as 35-year-old Manohar who lives in Najafgarh. On Sunday night, he ran over a number of laborers with his car near Shastri Park which is located in the northeast part of Delhi. 2 other people were also injured in the car crash. The people Manohar ran over were part of a group of people who were gathered near the road after an accident between an auto-rickshaw and a vehicle happened. The men who died in the accident have been identified as, 53-year-old Chander, 40-year-old Zahid Hussain, and 45-year-old Jamil Ahmed. Mehraj and Danish were the 2 men who attained injuries from the accident, they were out of the hospital days after the accident. Eyewitnesses caught Manohar and gave him to the police. The police added that Manohar has been charged under relevant sections of the Indian Penal Code.